← To Whose Benefit Ferguson? Some of the members of the parliament in Canada fashioned flagpoles into spears during the recent attack in Ottawa. They bundled the prime minister into a closet and took positions around the door rather than waiting to be killed. They intended to fall upon and stab to death anyone who tried to enter their chamber. These are the most civilized of men, they just haven’t yet been civilized out of acting as men. It is strange to see Canada being so much more vital than our own country. If an assault happened here can anyone imagine Harry Reid or Nancy Pelosi rounding up makeshift weapons? I cannot. They would be hard pressed to find a pocket knife to sharpen a stick with between their whole caucus. Here we can’t even find the courage to ask the Sgt. at Arms to arrest the likes of Lois Lerner. There the Sgt of Arms in the Canadian parliament shot down the assailant. When a man recently broke into the White House the female security guard was run over and never fired her weapon. That is one of the problems with not selecting for brute strength and size in security guards. She essentially only had two choices, either shoot the guy, or get run over. When another man tried the same stunt some days later he was met by guard dogs. That is at least a better option. But you can bet our enemies have noted the laxity of our security in what are supposedly our most secure areas. If a single man can push his way into the White House then what is to stop a squad of armed men? Certainly not dogs. Not guards who are loath to draw their weapons and physically incapable of forbidding entry. But the Canadians understood something we have forgotten; everyone has to be prepared to fight back. Thinking that there are watchdogs who will do your fighting for you is foolishness. We disarm our soldiers on their bases, deny people their right to bear arms in our schools and other facilities and then pick people as our guard dogs based on considerations other than their ferocity, strength and ability to kill. We no longer even bother protecting our borders. 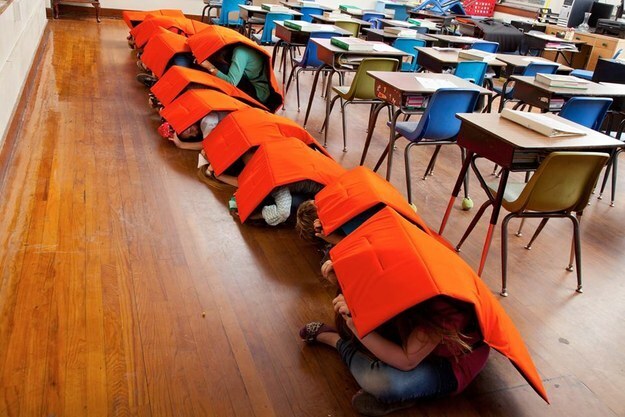 We “shelter in place” and make our school children targets instead of teaching them to scatter to the wind, or teaching the older ones to take up what arms they can to win by numbers and determination against superior firepower when flight is not an option. We even make bullet proof blankets for our kids to wear while they are being shot at. All that is missing is the bullseye. We make of ourselves sheep and wonder why the wolves have grown so bold. If ever a country needed a better shepherd it is this one.